TALK CLEAN TO ME: New Year, New Virus! In March 2014, I wrote a blog “Ebola – the stuff my dreams are made of!” talking about the outbreak of Ebola in Guinea and how I found my passion for all things outbreaks and infection control. Over the course of writing the Talk Clean To Me blogs I’ve had the opportunity to talk about emerging pathogens that pop up in different parts of the world impacting humans and animals alike and when I came across an article talking about a new virus similar to Ebola I had to do a little more reading! 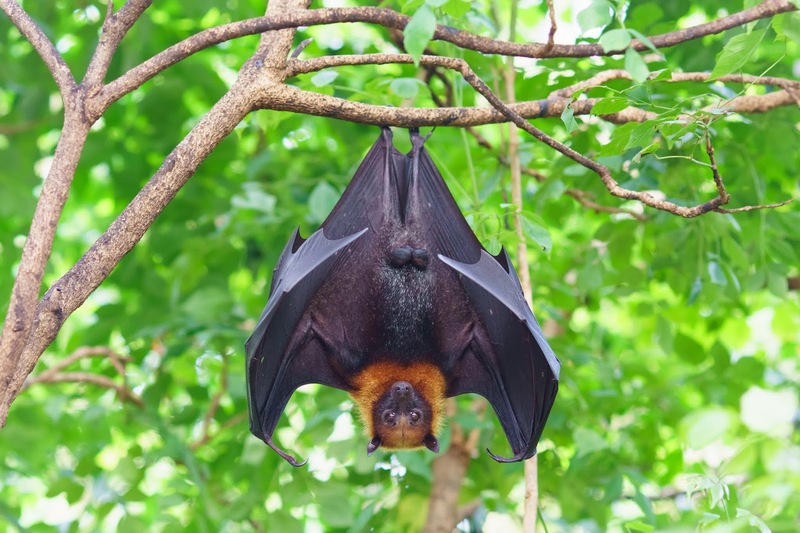 Published in Nature Microbiology, researchers from China introduced the Mĕnglà virus, a virus in the same family (filovirus) as Ebola found in fruit bats. Named for the county it was discovered in, Mĕnglà virus shares many of the characteristics of the deadly Ebola virus. While there is no evidence that Mĕnglà virus has been transmitted to humans, the history of known Ebola-like viruses being transmitted to humans makes it worth investigating further. Mĕnglà virus is the 7th filovirus that has been found. Genetically it has a 32-54% similarity with other known filoviruses and sits somewhere between the Ebola and Marburg viruses on the evolutionary tree, however is different enough to warrant its own genus Dianlovirus. Bats have been found to harbour more than 65 human pathogens and are particularly well known as carriers of filoviruses. While it’s early days in the research and relatively little is known about the Mĕnglà virus at this point, the early findings do indicate that it shares many functional similarities with both Ebola and Marburg viruses. Mĕnglà virus has been found to gain entry into cells using the same molecular receptor as other pathogenic filoviruses, suggesting it could have the potential to be as deadly as other filoviruses and is just as likely to be able to jump across into different species. Does this mean we panic? No. But it does remind us that in the world of viruses nothing stays still and that we must continue to be vigilant and remind ourselves that with globalization things are closer than we think and can be whisked around the world in under 15 hours (the time it takes to fly direct from Toronto to Shanghai). #FF Take the Education Challenge!